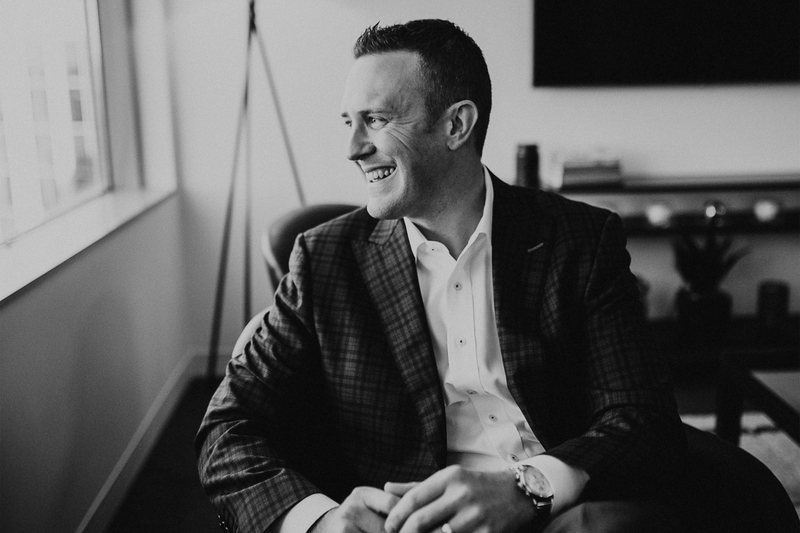 Andy Hunter, founder of HUNTERGROUP, has an approachable style and relentless passion for helping people. Over the past 13 years, he has worked hard to build trust and establish lasting relationships with our clients. Growing up in Mendota Heights, Andy has always been passionate about sports, particularly baseball and golf. While working on his finance and risk management degrees from the Carlson School at the U of M, he became an All-American first baseman for the Gopher baseball team. He has now shifted his passion for baseball to coaching his son's youth baseball teams. Andy believes that just like a great sports team, we are stronger together! This outlook has helped him grow and develop HUNTERGROUP with a team of dedicated, intelligent, and caring people. Outside of HUNTERGROUP, Andy enjoys spending time with his family and golfing. He has been married to his high school sweetheart, Natalie, for 11 years! Together, they have an 8-year-old son, JD, and a 4-year-old daughter, Mya. They currently reside in Mendota Heights and enjoy being active in their community - to learn more, check out our PHILANTHROPY page! Certified Financial Planner Board (2011-2018) is a non-profit organization acting in the public interest by fostering professional standards in personal financial planning through its setting and enforcement of the education, examination, experience, ethics and other requirements for CFP® certification. Million Dollar Round Table (MDRT - 2010-2018) is an international, independent association of more than 31,500 members, or less than 1 percent, of the world's life insurance and financial services professionals from 464 companies in more than 80 nations and territories. MDRT members demonstrate exceptional professional knowledge, strict ethical conduct and outstanding client service. MDRT membership is recognized internationally as the standard of sales excellence in the life insurance and financial services business.